The central plank of Bernanke‘s magic recovery plan has been to get everybody back borrowing, spending, and “investing” in stocks, bonds, and other financial assets. But not equally so, as he has been instrumental in distorting the landscape towards risk assets and away from safe harbors. That’s why a 2-year loan to the U.S. government will only net you 0.22%, a rate that is far below even the official rate of inflation. In other words, loan the U.S. government $10,000,000 and you will receive just $22,000 per year for your efforts and lose wealth in the process because inflation reduced the value of your $10,000,000 by $130,000 per year. After the two years is up, you are up $44,000 but out $260,000, for net loss of $216,000. That wealth, or purchasing power, did not just vanish: It was taken by the process of inflation and transferred to someone else. But to whom did it go? There’s no easy answer for that, but the basic answer is that it went to those closest to the printing press. It went to the government itself, which spent your $10,000,000 loan the instant you made it, and it went to the financiers who play the leveraged game of money who happen to be closest to the Fed’s printing press. Your article on the manipulation of gold is excellent and is of course spot on as I am totally convinced that the markets are been manipulated by the large finance houses with their massive pre market and after hours trades conducted by the super computers that can trade in millionths of a second. To combat this I have been trading just one stock and I am always hedged. I would not be in the markets without this hedging tool and to-day was an excellent example of how this particular stock was battered down, no doubt by the very moneymen who own this company in the first place. It is a case of shake the tree and see what apples fall off before picking off the low lying fruit on the cheap !I am always surprised by the constant flow of stupid money, new money coming in to this same trap! Today if you are looking for guidance in earnings you will be disappointed as there is no truth to be found on any Bank balance sheet, you should try reading something from Hans Christian Andersen or the story of the wizard of OZ at least it’s more entertaining. Don’t thrust anything the main media tells you in fact I have been doing quite well doing the exact opposite but as I cannot time the market I give myself enough time to become right and of course I’m always hedged so all I really need then is to have enough time and If I run out of time ? why I just roll the position with the profit I make on the winning side so some time in the future the position goes into reverse and I collect on the other side! THE ECB SLOWLY BUT SURELY BECOMING A TWIN BROTHER OF THE FED: POSITIVE IMPLICATIONS FOR THE SHORT-TERM? Increasingly, Mario Draghi, the European Central Bank President, is showing his true colors. 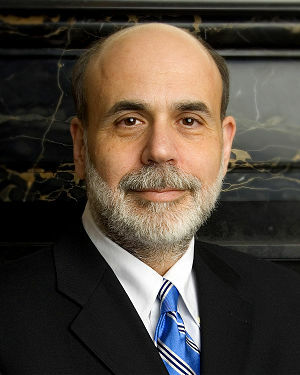 He is clearly on the road to becoming Europe´s clone of Ben Bernanke. That said, Draghi is pushing hard against Germany´s (Merkel´s) resistance of running full-speed down the Keynesian road of monetary inflation. Dominant Social Theme: Happy Days Are Here Again. Free-Market Analysis: Or are they? Europe is failing, China just cut interest rates and US markets moved up hard on a hope and a prayer. The hopeful prayer was that Ben Bernanke would cut interest rates – or that he intends to. Why this would cause the Dow to climb some 300 points is mostly a commentary on what markets, US markets especially, have become in the 21st century.